Tough week! I don’t know if somebody dumped my Cheerios or what, but I wasn’t as thrilled about this week’s comics as I was last week. Last week was great! Last week was hilarious. This week…not so much. Why can’t you be more like last week, this week? We’ve got a ton of comics though, from Astonishing Ant-Man to Saga to Silk to We Are Robin! This week even sees the long-awaited return of Karnak by Warren Ellis! Unfortunately, it does not live up to the excitement of the first issue. Fortunately, the new issue of Hellcat is as great as all the rest have been! Totally justifies the random Doctor Strange cameo. I think this makes at least three at Marvel. Comic Reviews: Angela: Queen of Hel #5, Astonishing Ant-Man #5, Karnak #2, Patsy Walker a.k.a. Hellcat #3, Saga #34, Silk #5 and We Are Robin #9. Merry Christmas and Happy Holidays to one and all! This was a pretty big week for comics, but it was also a pretty big week for Christmas. If you’re reading this on Saturday morning, I’m likely still with my family, celebrating. Such are the benefits of having both Christmas and the day after off from work. So my list of reviews is a bit shorter this week due to the time crunch. Still, I read some really good comics this week, including new issues of Saga and Robin War, as well as the next chapter of Dark Knight III: The Master Race. 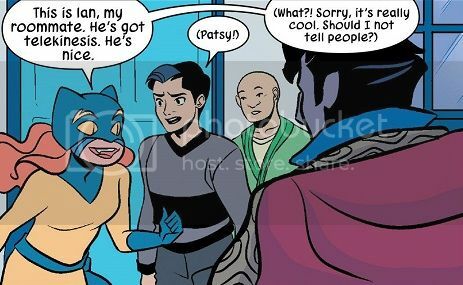 Comic Book of the Week goes to the first issue of Patsy Walker, a.k.a. Hellcat! It’s a fun, colorful and very savvy new comic, though it does skew a little too closely to some of Marvel’s other offerings, like Unbeatable Squirrel Girl. Still, Squirrel Girl doesn’t have moments like this. No, that’s not how Hellcat is draw throughout the entire comic. That’s just for funnsies! Comic Reviews: Dark Knight III #2, Patsy Walker, a.k.a. Hellcat #1, Robin: Son of Batman #7 and Saga #32. Hellcat and Red Wolf Getting New Marvel Comics! Marvel has yet to reveal all of their All-New, All-Different comics, but a couple new ones were announced today and over the past few days. 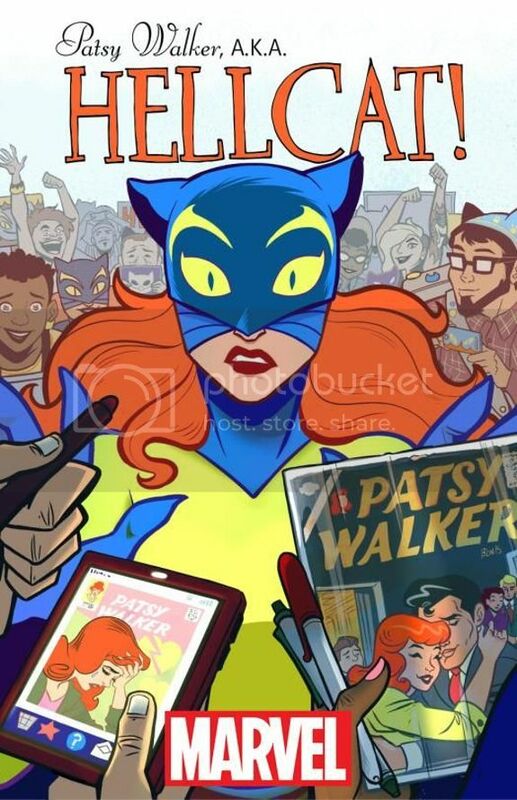 Seeing as how I’m a sucker these days for quirky, colorful lady superhero comics, I’m definitely excited to check out Patsy Walker a.k.a. Hellcat, by writer Kate Leth and artist Brittney Williams. Marvel describes the book as a comedy akin to Broad City, which is probably my favorite live-action comedy on TV these days. The comic will be about Patsy being a go-getter in the big city, and will incorporate her history as a romance comic character. That should be pretty neat. Yahoo has more. The other big announcement recently was Red Wolf, a comic about a badass Native American superhero from another dimension. We’ve been waiting for this announcement since Marvel added Red Wolf to one of their promotional images. 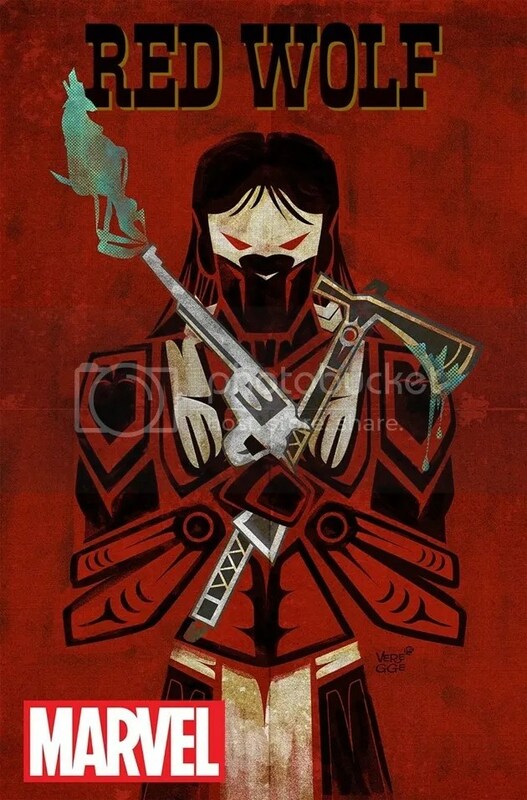 Red Wolf will come from writer Nathan Edmondson and artist Dalibor Talajić, with cover art by Native American artist Jeffrey Veregge. That’s a nice step for Marvel to take. The comic will be about a new version of Red Wolf protecting his people in the American Southwest. Could be fun! 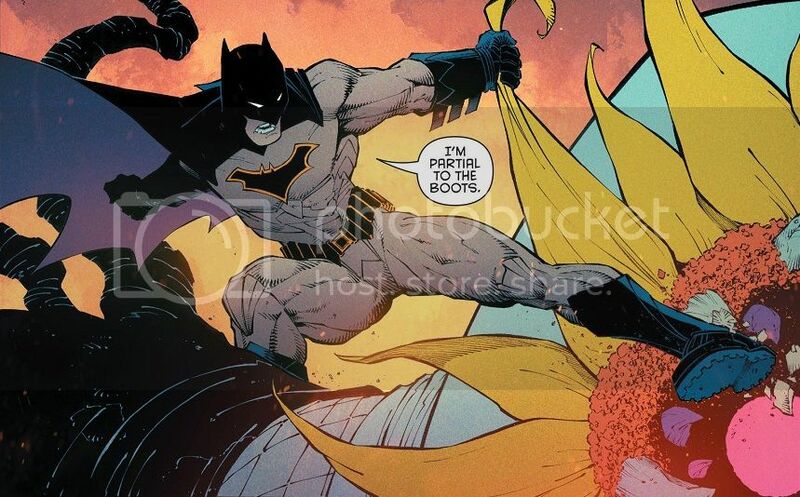 What do you henchies think of these new comics? Marvel has been on a role for years. Will they be able to keep it going with all this All-New, All-Different stuff? Hellcat is Joining the Marvel Cinematic Universe! How is it possible that I’m out of good cat puns this early into my career?! Patsy Walker is going to be a syndicated talk radio host and Jessica Jones’ best friend, so that’s pretty neat. You may remember Taylor from Grey’s Anatomy or, as I know her, the Aussie hacker from the first Transformers movie. Whatever happened to her character? Am I the only human being on the planet who wants to know what happened to all the various human Transformers movie characters who simply disappeared between films? Regardless, I’m sure Taylor will be awesome on the show. 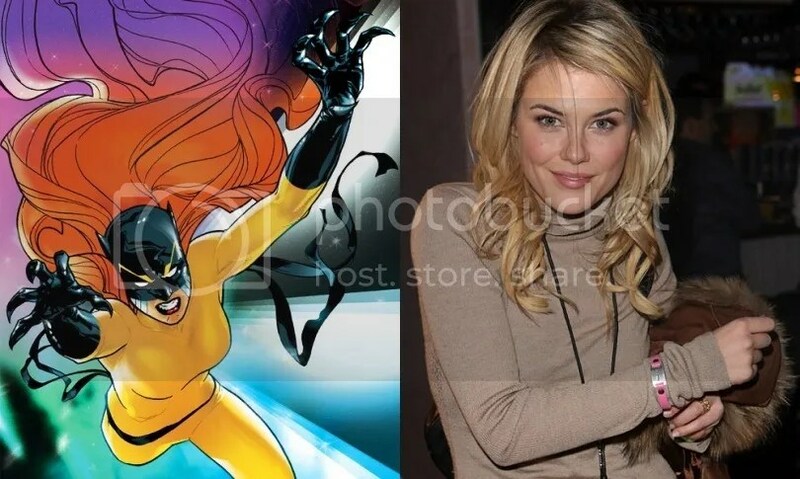 And casting Hellcat (though there’s no promise that she’ll become Hellcat) opens up a world of possibilities. Just imagine what minor Marvel characters could pop up on these shows and maybe join the eventual Defenders.